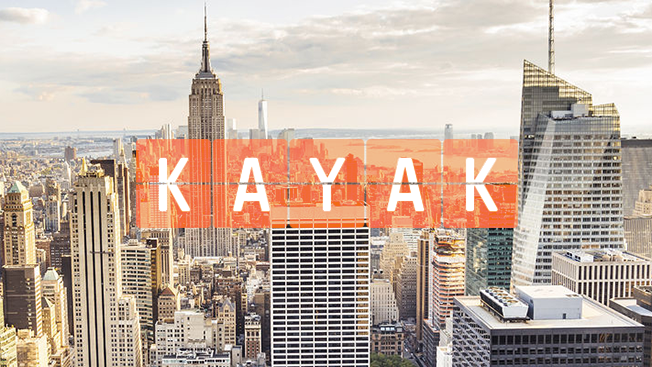 After several years of decidedly unusual ads from New York's Barton F. Graf, travel aggregator Kayak is going in a new direction, choosing The Martin Agency for its next big creative assignment. The Richmond, Va.-based shop, best known for its endless stream of amusing Geico spots, will handle communications planning and creative development for what promises to be a "multichannel creative campaign" for 2016. Kayak, which was acquired by Priceline just four months after its 2012 IPO, ended its relationship with Barton F. Graf after one last "oddvertising" effort last fall. Martin's New York office, which recently hired James Robinson of twofifteenmccann as its first executive creative director and expanded his team, will lead the effort. "We're excited to be working with the team at Martin," said Stephanie Retcho, Kayak's svp of North American marketing. "We have great respect for the work they have been doing and are looking forward to creating communications that will engage the Kayak audience in new ways." Matt Williams, CEO of The Martin Agency, called Kayak "the known leader in online travel." "They've completely changed the game when it comes to the planning process," Williams said. "We're thrilled to partner with them as they take their creative approach to the next level with new and innovative thinking behind their brand." The forthcoming campaign will launch in the spring. Recent spending totals for Kayak were not available at the time of publication, but according to Kantar Media, its parent company, Priceline Group, spent roughly $136 million on measured media in the U.S. in 2014.